Thursday 22 September 1955, and British broadcasting was on the verge of a new era: commercial television was launched. Admittedly it was only in the London area and, it was estimated, just one set in five was tuned to 'Independent Television'. However, the big news in the press the following morning was not just about the first commercials but that there had been a 'Death in the Family' as poor Grace Archer had met her untimely and shocking demise whilst attempting to rescue her horse from a blazing barn. Graces' screams of "Midnight! Midnight!" and Phil's plea "Grace, come back! 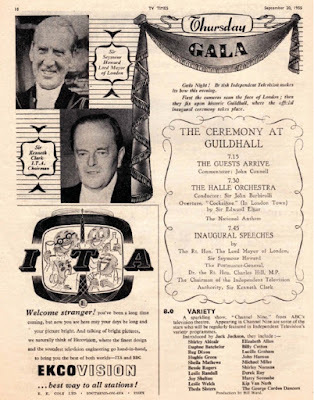 The roof's collapsing" were heard by about eight million listeners to the BBC Light Programme daily serial The Archers just an hour before Postmaster General Dr Charles Hill and Sir Kenneth Clark, Chairman of the ITA made their inaugural speeches in London's Guildhall. The next morning the headline in the Daily Mirror read 'Radio fans weep as Grace Archer 'Died'' whilst the News Chronicle asked 'Why did Grace have to die?'. Even The Times was moved to report 'Death of BBC Serial Character'. 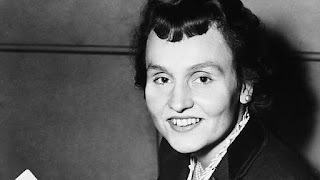 The events surrounding that fateful night in 1955 are this weekend recalled in the BBC Radio 4 drama Dead Girls Tell No Tales. Written by former Archers scriptwriter Joanna Toye it depicts life in and around The Archers' production office and studio. Amongst the cast is the original Grace Archer played by the now 90-year-old Ysanne Churchman. But was the turn of events in Ambridge mere coincidence or, as some claimed, a stunt? At the time scriptwriter Edward J. Mason denied that Grace had died in the cause of publicity rather than art. The Herald, however, pointed out that the death "ensured that The Archers made headlines when 'in all theory' sound radio should have been pushed right off the news pages by the advent of Independent TV." That Grace has ceased to be. The truth of the matter was that the exact timing Grace's death was no coincidence. Her 'exit' had been planned months before, just not when, or how. 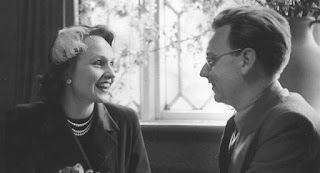 According to Asa Briggs' history of the BBC the decision to kill off Grace had been taken in January 1955, months before her marriage to Phil Archer that Easter. The creator of The Archers, Godfrey Beasley, wrote to Rooney Pelletier, the Controller of the Light Programme, on 10 January that "at a suitable opportunity, either at the end of August or early September, Grace will be involved in a motor vehicle accident which will prove fatal". By 11 May 1955 the plan had been hatched by Pelletier in a memo to Denis Morris, Head of Midland Regional Programmes. He wrote: "the more I think about it, the more I believe that a death of a violent kind in The Archers timed if possible to diminish interest in the opening of commercial television in London is a good idea". At the same time Briggs observes that this was not the whole truth of the matter. The scriptwriters were also "anxious to cut the number of characters in the series: they felt it was becoming 'cluttered up' and that it would be desirable to introduce 'greater validity' into the situations described". There was also a degree to which radio was flexing its muscles, showing it was still a force to be reckoned with, despite the rise in television viewing. It's no coincidence that all this happened just two years after the BBC had issued a Ten-Year Plan that concluded that sooner or later "with the growth of television audiences and a consequent shrinkage of audiences dependent on sound alone" there may have to be realignments of the radio services. Did the death of Grace Archer mark the beginning of the end of radio's Golden Era? This is what listeners to the Light Programme will have heard that week in September. This edition of The Archers is the omnibus version that was broadcast on the Saturday evening. 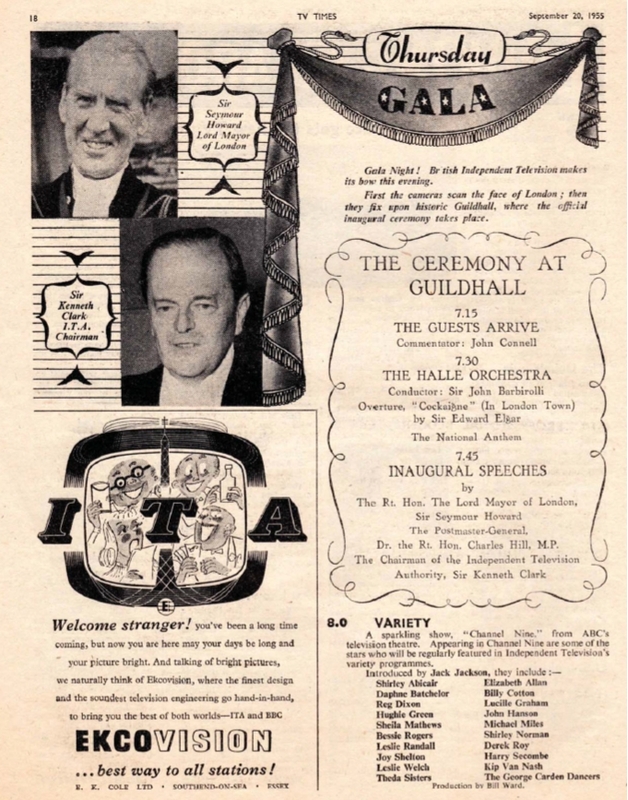 At that time, when evening television only began at 7.30 p.m., the Post Office set a strict limit on the number of hours of television that the BBC might transmit each week. 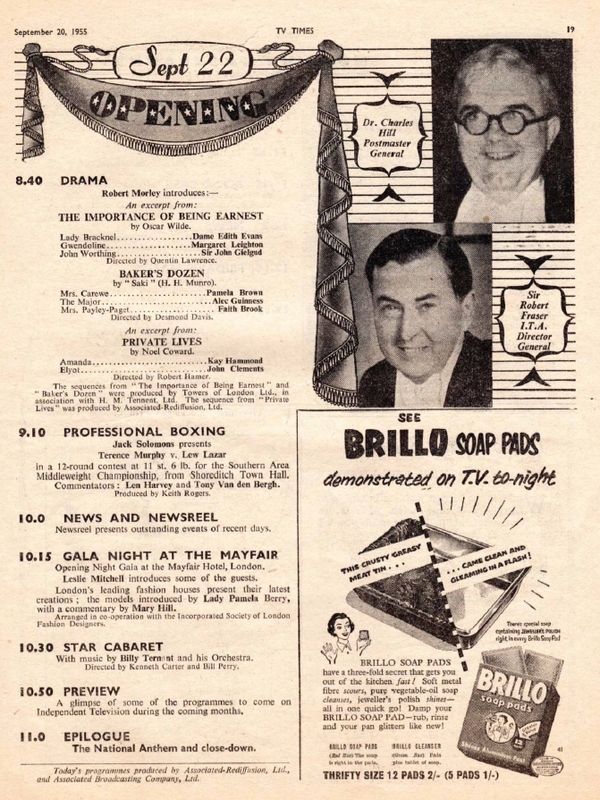 However, when ITV started in 1955 the Post Office allowed the evening's viewing to begin at 7 p.m. Unfortunately this daily increase of thirty minutes' television time was not accompanied by any more studio space or film resources, which were then what limited programme expansion. Every production studio at Lime Grove was fully committed, so Cecil McGivern, BBC Television's Controller, decided to fill the extra time with a quarter of an hour of news originated from a studio at Alexandra Palace, followed by a daily television version of The Archers, produced in Birmingham. The pilot programmes of The Archers were not up to standard, and at short notice McGivern asked if the Television Talks department could provide a substitute daily programme. That programme turned out to be Highlight which in turn begat Tonight. Dead Girls Tell No Tales will be broadcast on BBC Radio 4 on Saturday 19 September 2015 at 2.30 p.m. Recent press coverage of the play Dead Girls Tell No Tales (and indeed the Radio 4 news report above) states an audience for infamous edition of The Archers as hitting 20 million, this is probably overstated by more than 50%. Briggs quotes an audience of 8 million and the BBC Year Book for 1956 states the usual figure as 9 million. Bearing in mind that there would have been no pre-publicity about the tragic storyline (how unlike today's coverage of events on Coronation Street and EastEnders) it seems unlikely that 20 million tuned in. Having just listened to Dead Girls Tell No Tales the version of events as seen by Ysanne Churchman is that Archers creator Godfrey Baseley had a personal vendetta against her as she'd lodged a complaint about her pay with Equity. The drama was excellent and anyone listening will spot one or two quotes from the same sources I've mentioned in this post.